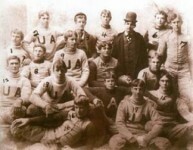 Auburn officially began competing in intercollegiate football in 1892. 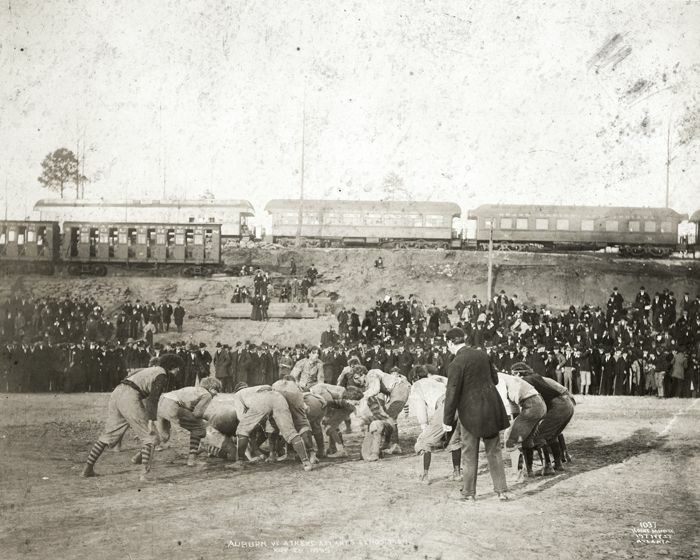 The first Iron Bowl Game between the University of Alabama and Auburn took place at Lakeview Park in Birmingham on February 22, 1893. Auburn walk away with a 32-22 victory. 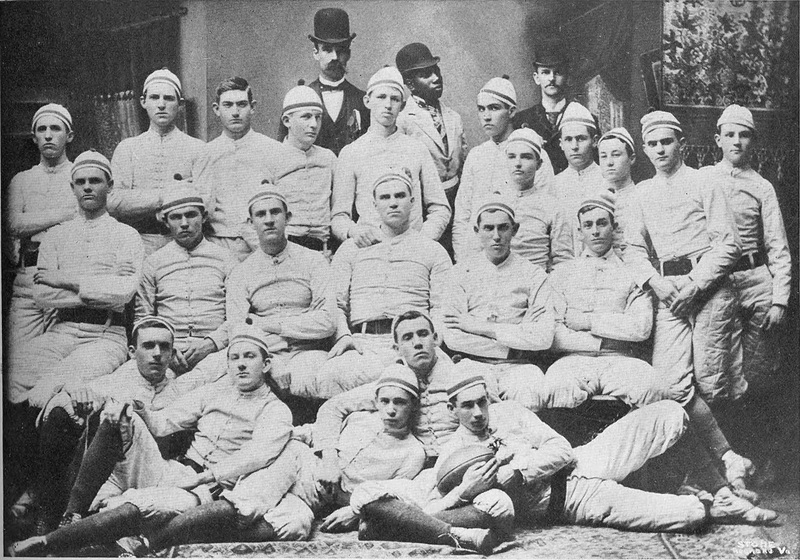 The organization of Auburn’s first football team is credited to Dr.George Petrie, who led the 1892 Tigers to a 2–2 record. 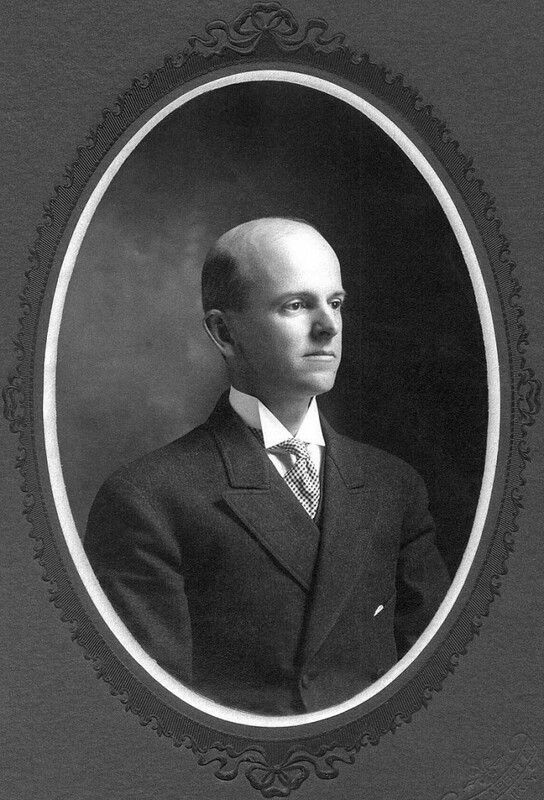 Dr. George Petrie, a history and Latin professor who played football himself at Johns Hopkins University. 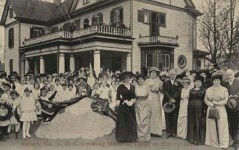 Petrie is considered the founder of both the History Department and the Graduate School, as well as the school’s athletic program. 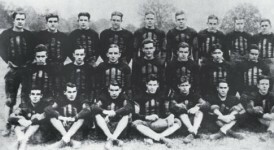 Petrie also chose burnt orange and navy blue as the official colors for Alabama athletic teams, which was inspired by his alma mater, the University of Virginia. 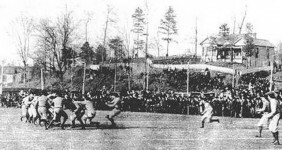 The first game was against the University of Georgia at Piedmont Park in Atlanta, Georgia. Auburn won, 10–0, in front of a crowd of 2,000.In an era when coaching was a part-time job, Auburn had five different coaches in its first eight seasons. 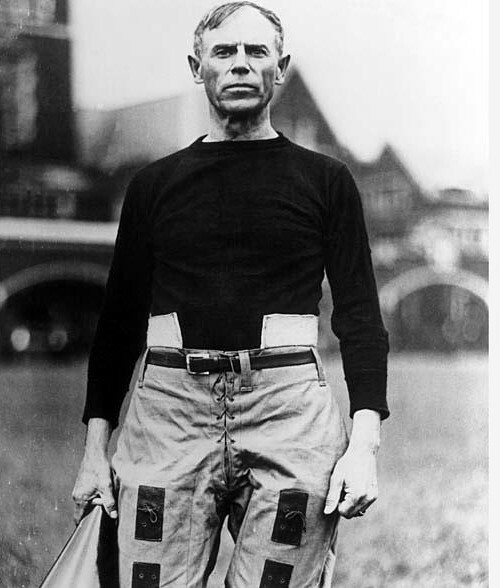 The first full-time coach was John Heisman, who went 12-4-2 from 1895-99 before achieving national success at Georgia Tech; the Heisman Trophy is named for him. 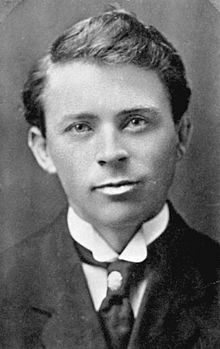 Auburn’s most successful coach in the early years was Mike Donahue, whose teams won 99 games and finished undefeated three times in two stints from 1904-06 and 1908-22. Notice the protective equipment, and ignore the jerks! What equipment? Riiiight! Wow! Should have a concussion! You have the greatest videos and photos. Thanks! This is supposed to be educational, but as always BAMMER just flap their chaps… Stupid is as stupid does! Go away!!!!! 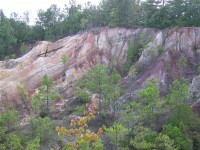 There is a roadside plaque there…..I was surprised the first time I noticed it ! Funny, even back then “little brother” had to compare themselves to Alabama. Wegl Wegl War Damn Eagle is not so high brow itself. And before you go off on me for being a Bama fan, I’m not. Spectator sports is a mindless activity, an opiate for the masses. There are better things in which to involve yourself. Spectator sports are an opiate for the masses yet you watch films, an activity in which you do nothing but sit and stare at a screen for hours. I’m pretty certain that can be considered a mindless activity. You have to love this rival no where on earth is bigger. 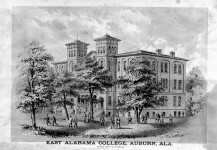 Auburn won the first ironbowl. War Eagle !!!!! The PETRI dish was named after it’s inventor, German bacteriologist Julius Richard Petri. They are typically used in biology, usually microbiology…not chemistry. 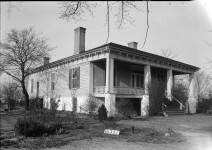 Auburn’s Dr. George Petrie taught History and Latin. It was a joke Greg. There are lots of idiots in the world. You never know when your dealing with one. But you might note too, that as they “walked away” they limped a little and kept looking over their shoulder as if concerned about being followed? Donald Davis Auburn football history. Glad the traditional continued and UA shared the money with AU by holding the games at a neutral sight. UVA man who brought UVA’s orange and blue uniforms with him to Auburn. And AU has been sucking ever since! The game wasn’t nicknamed “Iron Bowl” until after the series was restarted. 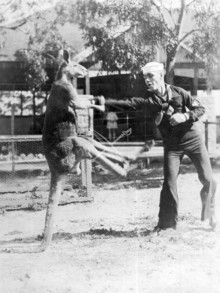 Auburn’s head coach, Ralph”Shug “Jordan was first to refer Bama-Aub. game as The Iron Bowl. I don’t remember the Alabama campus looking like that. 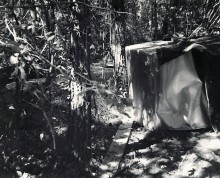 Matthew D. Morris. Thought you would find this interesting. 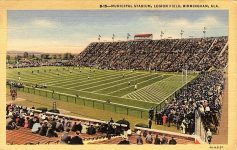 My great-grandfather refereed the first game in the Deep South between Auburn and Georgia having previously played football at Princeton in 1888-90. Bama placed southern football on the radar with wins in the rose bowl and the SEC hasn’t looked back. 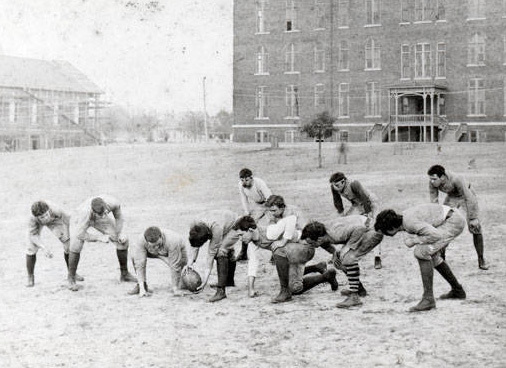 The term “iron bowl” was not associated with this game. Familiar with the history, but never seen the clip. There are still a hand full of those buildings left, but so much has changed just since I was there I think it is no wonder when my Dad went back he had trouble recognizing where stuff was. He wouldn’t even know it was where he went now.